A 300 year old tree does not sound impressive compared to the 1,300 year old tree cookie in the main admissions building! But after a walk through the museum's forest and you will see that a 300 year old tree is still quite an impressive sight. 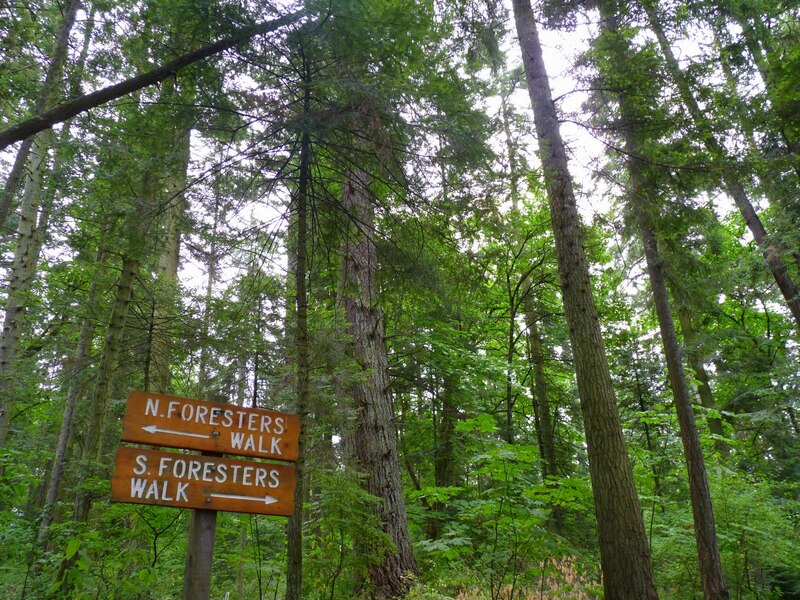 There are two trails that meander through mature second growth forest and provide a great quick walk for all ages. 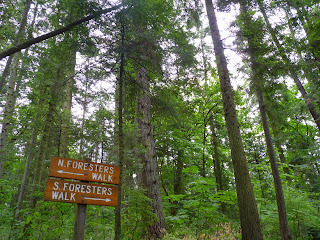 The North and South Forester's Trails have a gentle slope, are wheelchair accessible, and connect the upper grounds to the playground and exhibit areas on the lower grounds. Black tailed deer and many species of birds and of course, ever-present insects, are commonly seen in the forest. Evidence of the forest's history, such as large stumps with springboard notches (springboards were used by loggers to stand on while they cut down trees), can be seen from the trail. Flora such as stinging nettle, salal, and large evergreen and deciduous trees are abundant and they provide a cool, refreshing shade in the heat of the summer. The North Forester's Trail also provides areas to view the locomotive shed, the Hillcrest No. 1 Shay locomotive, and the BCFDC train as it travels down the steep hill towards the lower grounds. Forests are an important part of the ecosystem, providing sanctuary for animals and cleaning the air we breathe everyday. They are also a relaxing place to walk through and change every week during the growing season.